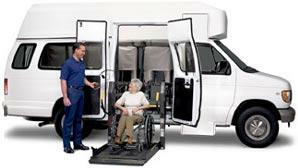 Acadiana Transit provides Para- Transit service to disabled residents within Lafayette City Limits. To qualify for this service please contact our office at 337-235-8968, you will be mailed an application or just print out application available on this website and mail it to us. Once your application is returned and approved you will receive a riders guide which explains the rules and regulations of our service or just print out the riders guide which is available on this website.